Los Angeles Travel: Luxe Los Angeles City Center Special Grand Opening! 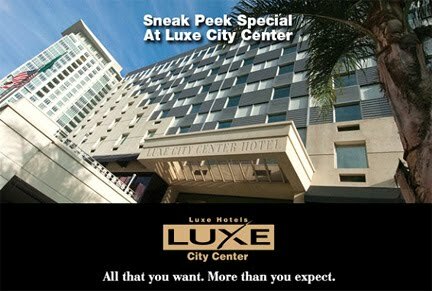 Luxe Los Angeles City Center Special Grand Opening rate from $187! A new era begins in downtown Los Angeles with opening day just around the corner with the newest Luxe Luxury Hotel. Be one of the first to experience new LA Live Luxe View Deluxe Rooms at 25% Off Our Best Available Rate. This special is offered for a limited time so book now and experience the newest rooms at Luxe Downtown Los Angeles.